Each Direct Subsidized or Unsubsidized loan borrower and graduate student Direct PLUS loan borrower who is in the final term of the program of study will receive an electronic notification to complete exit counseling. For administrative withdrawals, the university ensures that exit counseling is conducted within 30 days of the date the university determined the student has withdrawn. 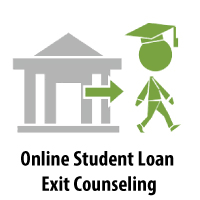 FSA recipients will receive an electronic notification via “IOHS Portal” within their course management system on the requirement to complete exit loan counseling at StudentLoans.gov website. 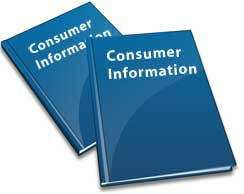 If the student did not complete the online exit counseling, the school will send the PDF version of the Exit Counseling Guide for Federal Student Loan Borrowers via email to the student borrower at his personal/home email address within 30 days after the school learns that the student borrower failed to complete the exit counseling as required. For administrative withdrawals, the school ensures that exit counseling is conducted within 30 days of the date the school determined the student has withdrawn.